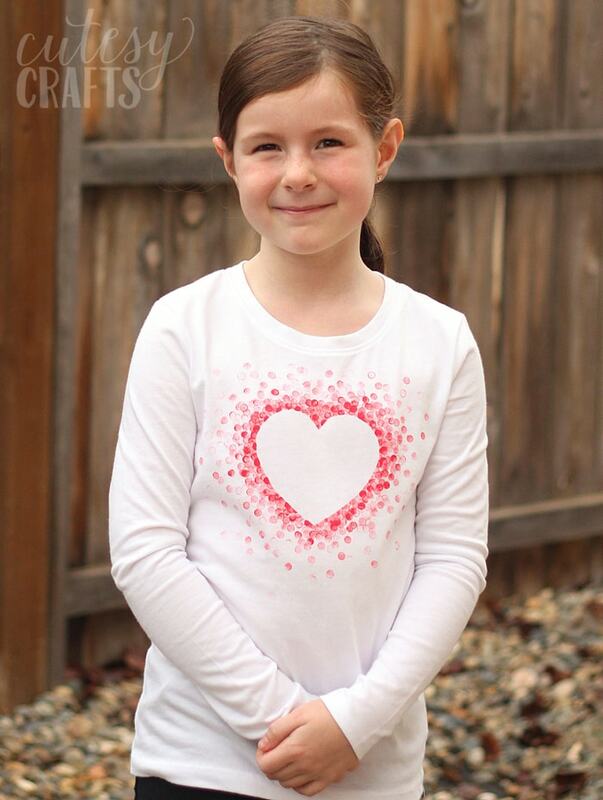 If you’ve been around here for a while, you know that I like to make DIY holiday shirts for the kids. I’ve made an eraser-stamped one like this for St. Patrick’s Day, Easter, 4th of July, and Halloween so far, so it was time for a Valentine’s Day shirt. The heart looks SO adorable! And can we talk about how much Audrey has grown up since I made the other ones? How did that happen? 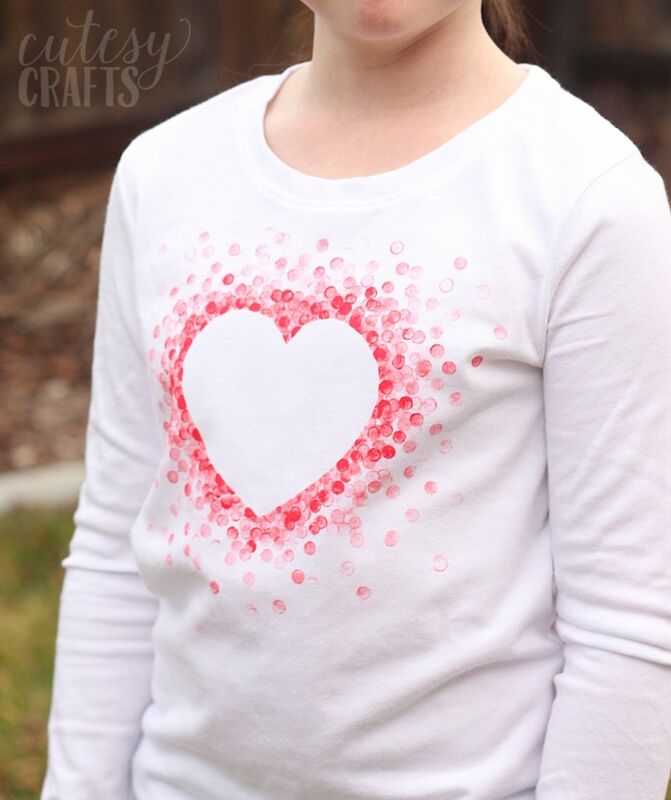 These shirts are so easy to make and make a great kid’s craft. You don’t need any special equipment. 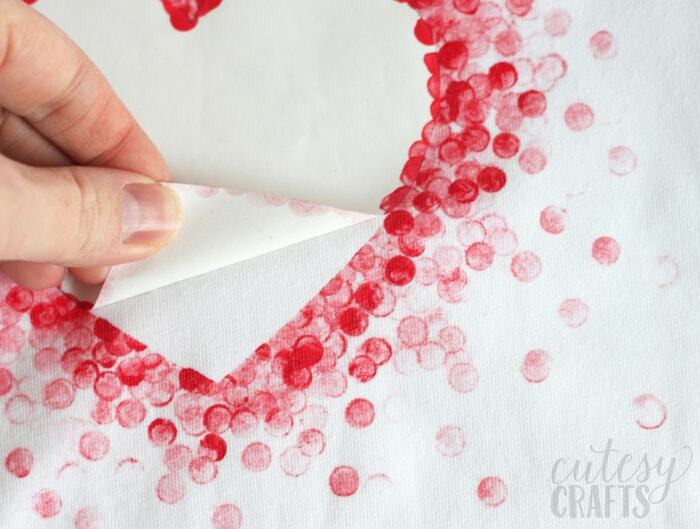 Just some scissors and freezer paper, and you’re good. 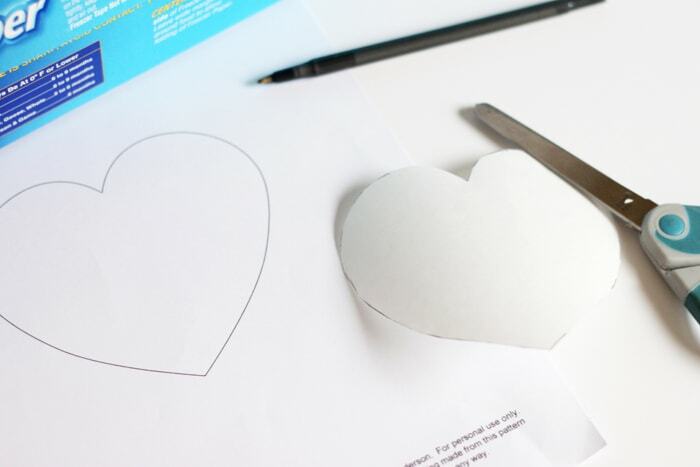 First, trace the heart shape on the NON-shiny side of a piece of freezer paper and cut it out. If you were doing a more intricate design, you could use an X-Acto knife, but scissors worked fine here. 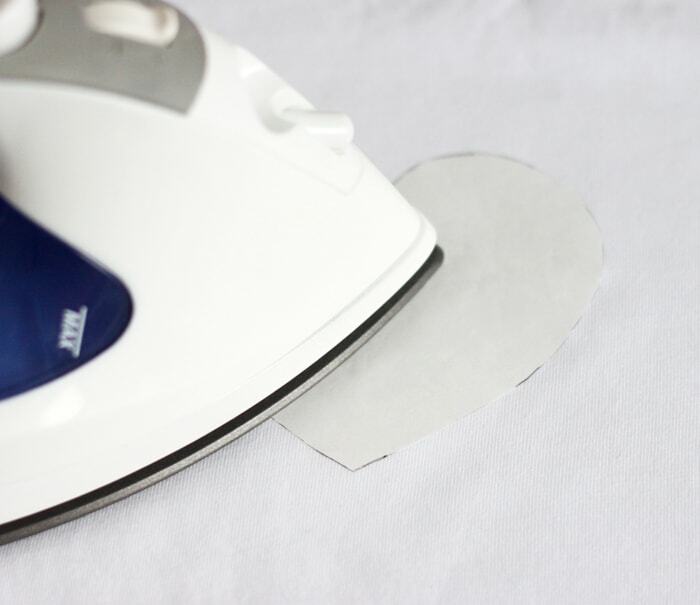 Put the heart on your shirt, shiny side down, and iron in on. 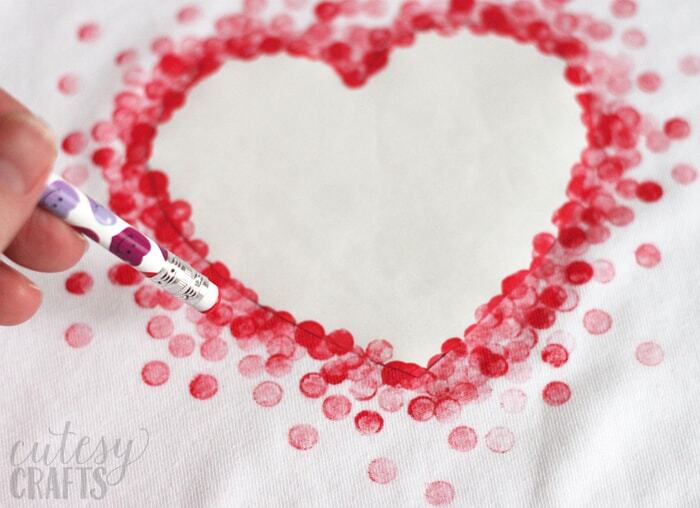 Dip the eraser of your pencil in red paint and start stamping around the heart. Put another piece of freezer paper or cardboard inside the shirt to keep the paint from bleeding through. 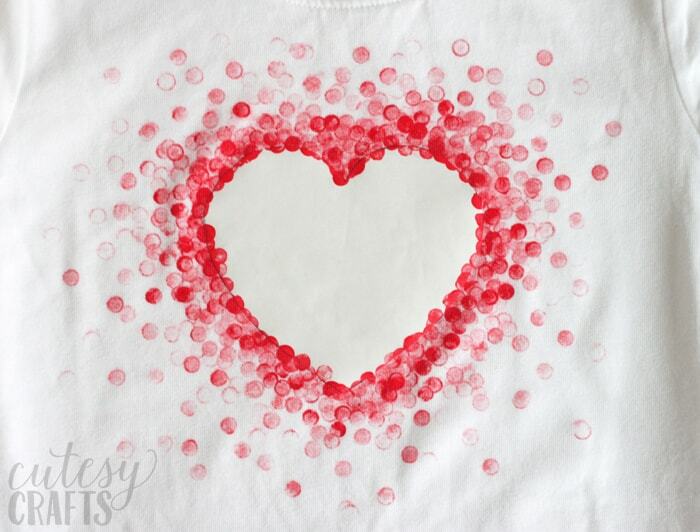 I like to put the dots closer together around the heart and then fade them out. Once the paint is dry, peel the heart off. Follow the instructions on your paint to heat set it. 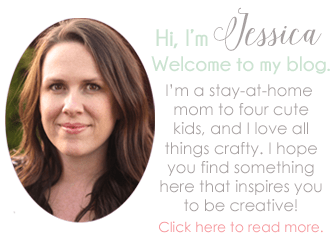 This usually involves ironing or putting it in the dryer. And you’re done. Super easy, right? Have you ever used this technique? It’s so fun! Thanks Pam! Eraser stamping is so much fun! Thanks Maureen. It’s so much fun!